Welcome to the sixteenth (#16) dividend income report, covering earnings I've made from dividend-paying stocks, peer to peer lending (both fiat and cryptocurrencies) in August 2018. In case you are wondering why I'm sharing online my earnings - the answer is pretty simple - I like transparency and these reports help me to observe my progress or bounces. Hopefully, my reports can give some inspiration to you as well. Also, I have a goal to reach one million dollars in my bank account by the time I will turn 60 (27 years still to go). Last August, I turned 33. This year we didn't go to any fancy trip, instead, we spent it at home with our newborn baby. As I've reached the age of 33 and as I have become a father, for the future I will put aside at least 53% of my yearly income. Here is the formula = years + 20 = 53%. I'm raising this number with every year. Speaking of the baby - actually, last month I also started to invest in her name. And this August we got our first dividend payment. Continue reading to learn more how much. Now, the last August was full of surprises and at the end of the month it said - $158.41 - August turned out much better (or about $70 better than expected), because of many late loans were paid back on Mintos.com platform, and for the first time in history, Mintos.com peer to peer lending generated more than EUR 100 in a month. In total there were 6 great companies paying me us dividends in August, that's 4 more if compared to the previous August. Our baby earned her first dividends of $7.02 this month. The YoY growth rate for my dividend income in August is 291.81%. Awesome that's exactly USD 117.98 more than a year ago. On the average, I should pull about $59.69 each month for the next 4 months to reach my $1200 goal for 2018. I got this feeling that I will reach and pass this goal easily. A year from now I'm looking for a minimum of $100 dividend income in August 2018. Wow, I just did it and cracked it by additional $58. Awesome. Oh, a year ago I didn't felt so enthusiastic after reaching just $40 in the month of August. 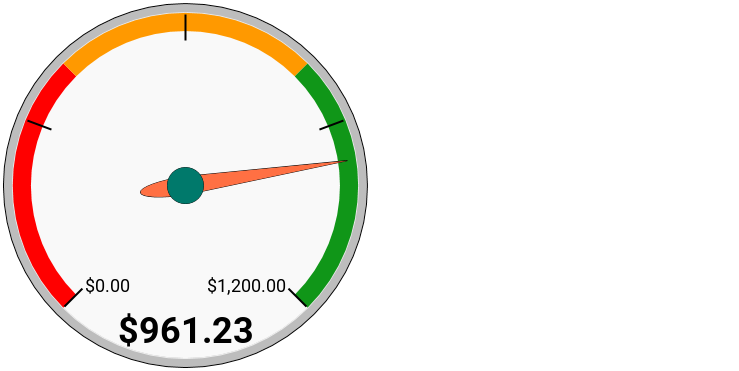 Now, when speaking about August 2019 - I will set a humble goal to crack $160. Shouldn't be problematic with adding more US monthly and quarterly dividend paying stocks. 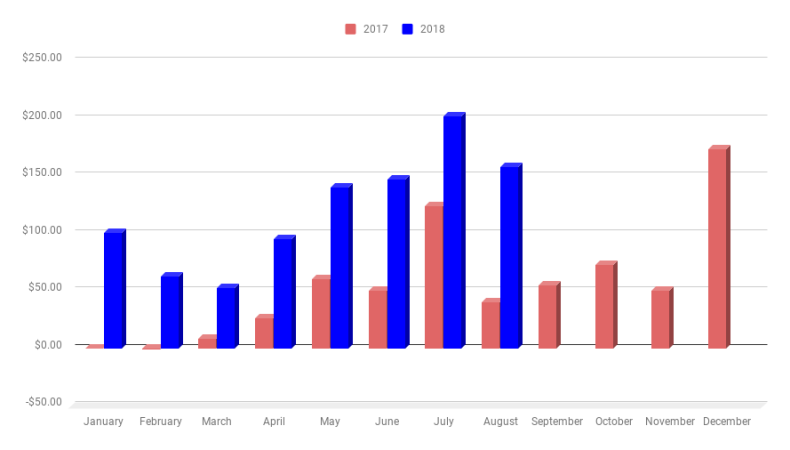 Now, despite August was the second best month this year in terms of dividend income, August was also the third month in a row when my portfolio was with a negative growth value. In August we were hit hard at Nasdaq Baltics and crypto. In fact, YTD is down by -21.3% (NASDAQ Baltics - 10.16%; cryptocurrencies -63,27%) The overall portfolio performance since the start in 2017 was with a negative -6.51% value growth.